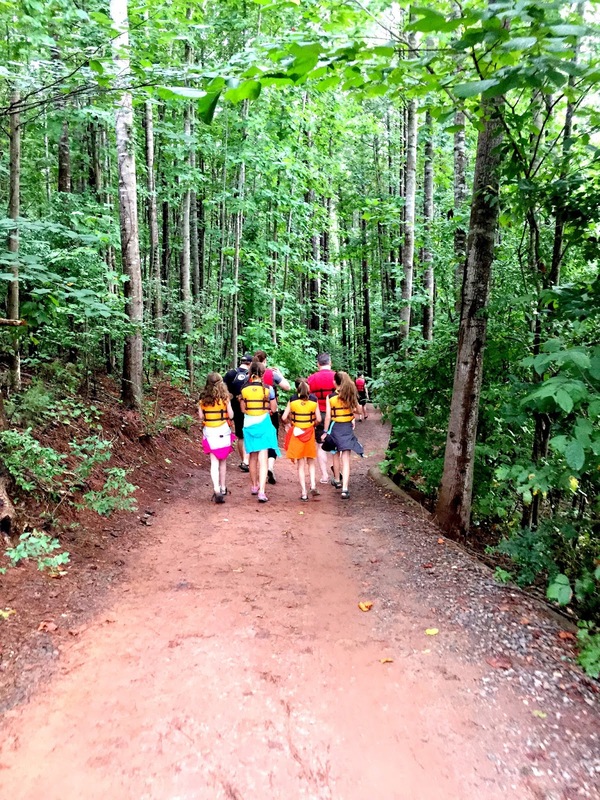 Living in Charlotte, we are quite lucky to be so close to the US National Whitewater Center. The USNWC is an outdoor recreation and training facility situated on 700 acres beside the Catawba River. 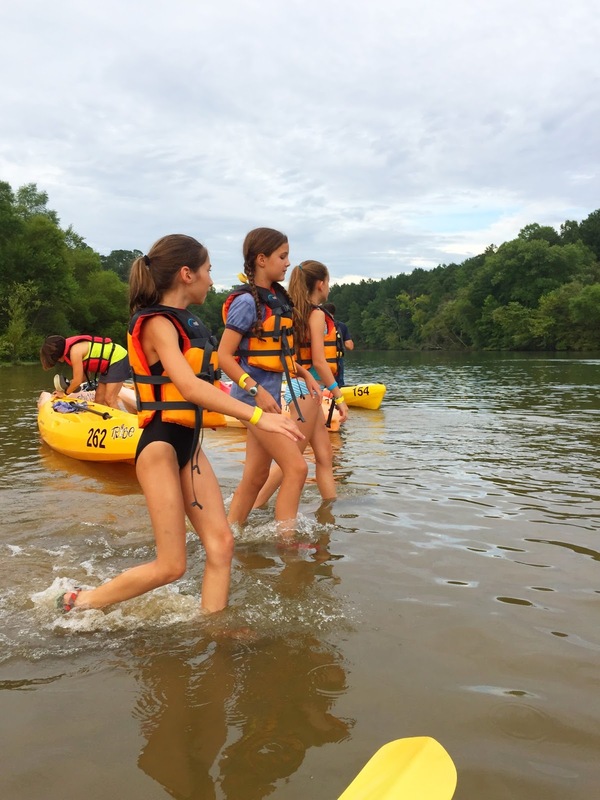 Activities at the USNWC are plentiful: whitewater rafting, kayaking, canoeing, rock climbing, mountain biking, running trails, and hiking. The center serves as an official olympic training center for whitewater slalom racing. They also have zip lines, ropes courses, evening concerts, summer camps... A full activity schedule is available here. A few weeks ago, I spent an exceedingly enjoyable evening at one of the Center's regular events: Paddle to Table. 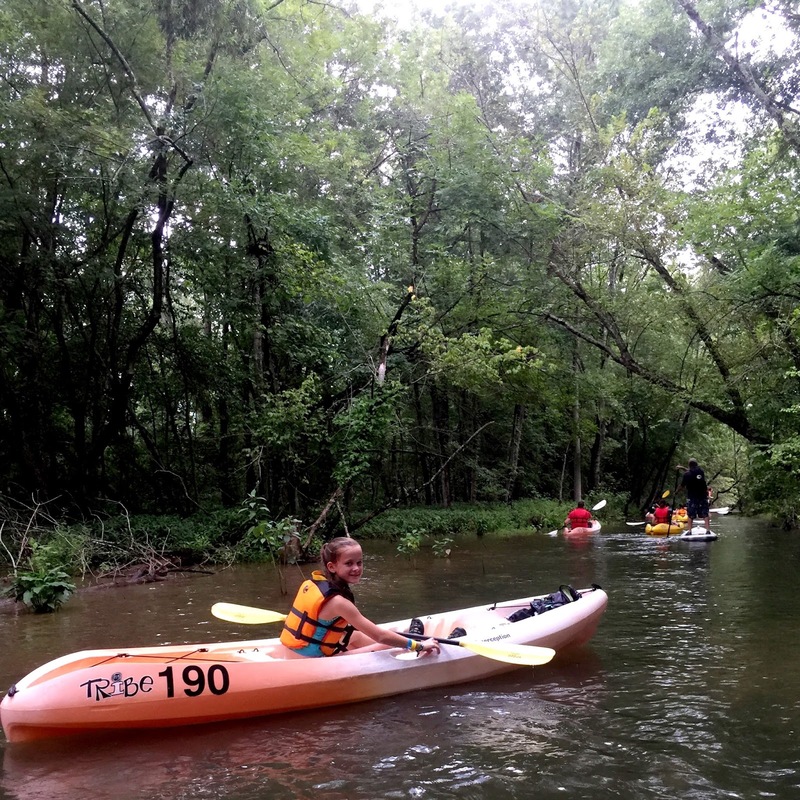 Paddle to Table is an "Adventure Dining" option. You can choose to flatwater kayak or paddle board followed by a fireside dinner, al fresco. Geneva, Piper, and I joined four other girlfriends and made the outing a very sweet Girls' Night. Thankfully, we lucked out with the weather and arrived for our departure just after a fairly intense summer storm. 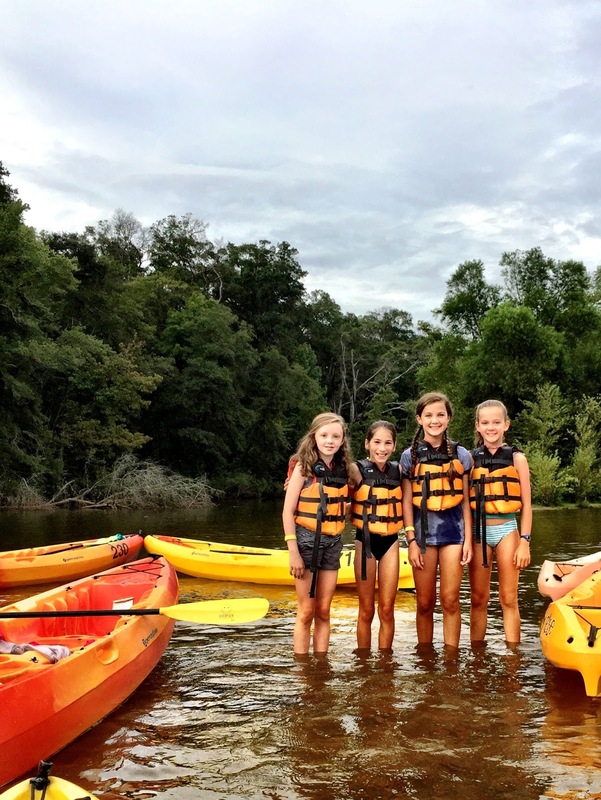 Following a short (and slippery) hike, we enjoyed a sunset paddle on the Catawba River with our outstanding guides. The current was mild, the skies had cleared, and the heron were fishing. It was very relaxing. Dinner followed in the Ridge Pavilion. It was delicious! 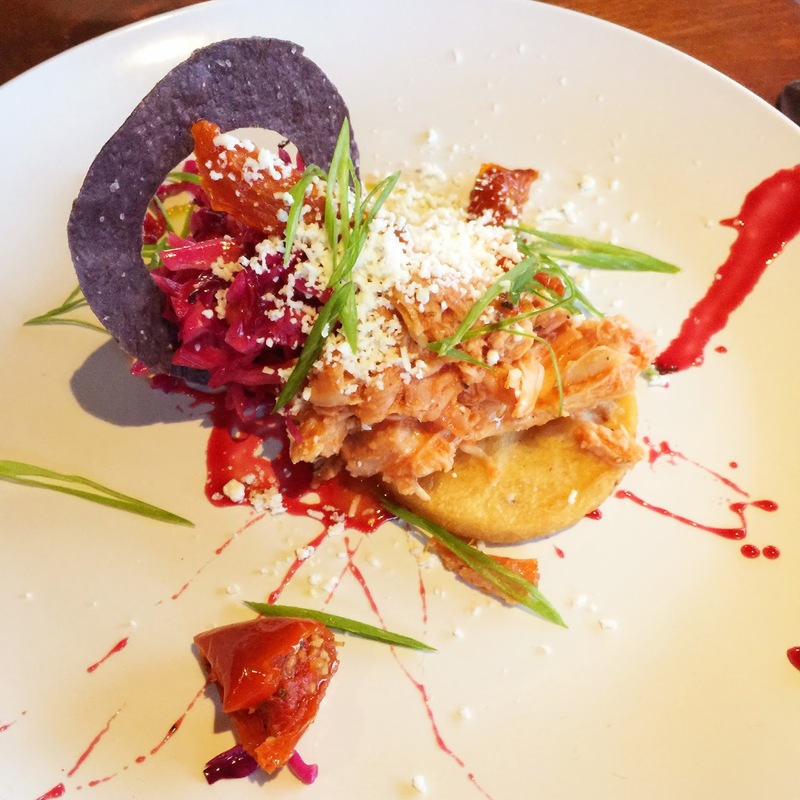 Chicken Papusas, Braised Red Cabbage, Tomato, and Queso Fresca made up the entree. 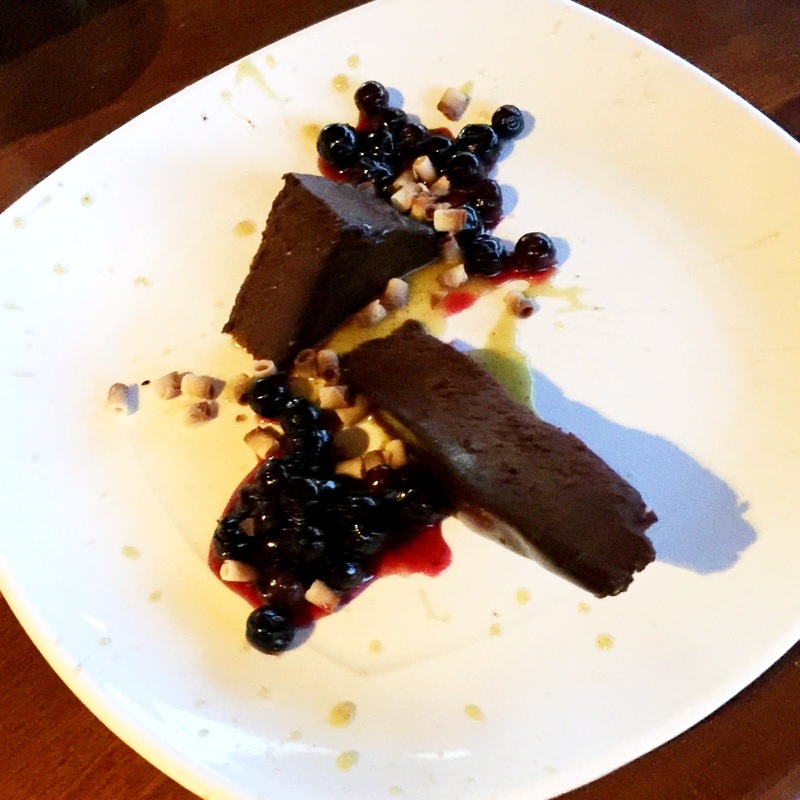 Dessert was Prickly Pear Flourless Chocolate Cake, Chocolate Streusel, and Forest Berry Compote. Yum! Adventure Dining continues at the USNWC through September (Paddle to Table) and October (Zipline and Dine). Explore your options here. 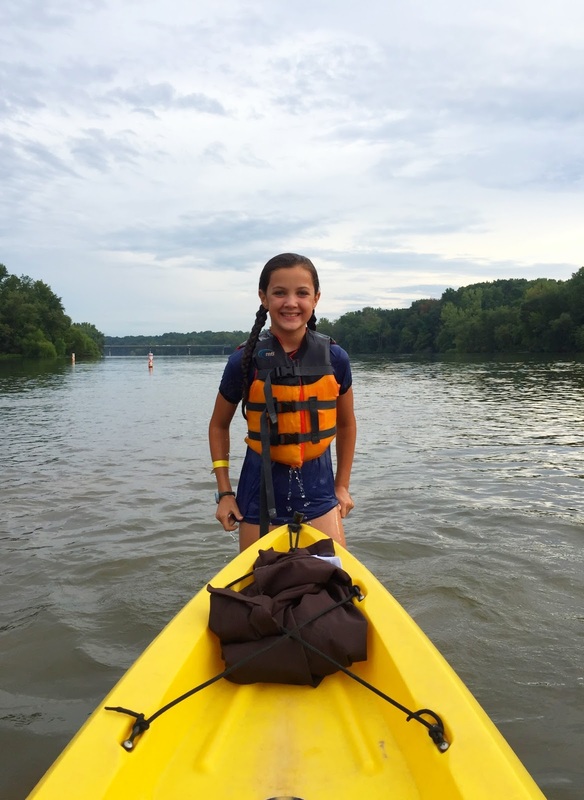 Love this post and our night at USNWC! 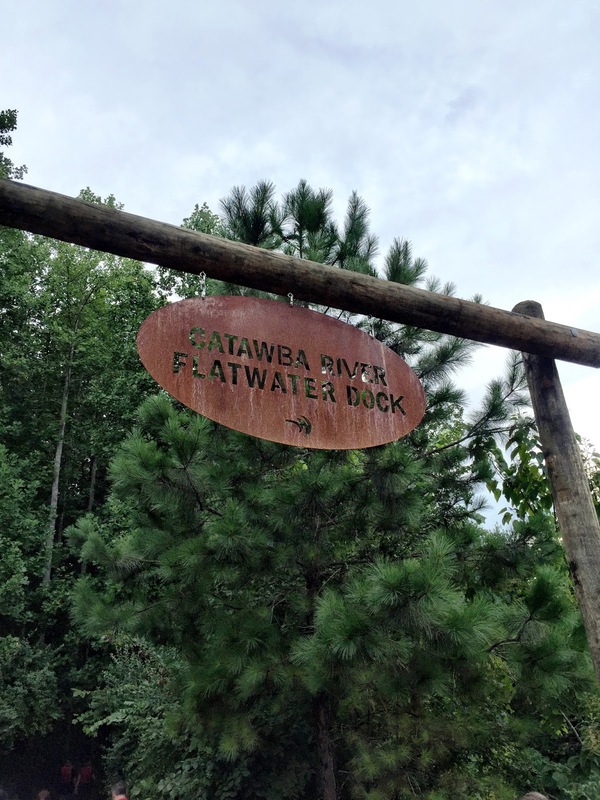 I particularly enjoyed our guides who shared info on both the flora and fauna of the Catawba as well as the history of the area with their own interesting twist! Can't wait to do it again!